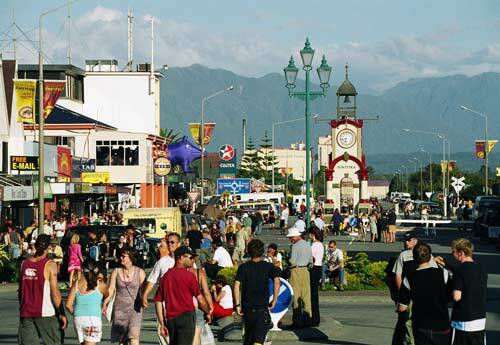 This view looks eastwards along the main street of Hokitika towards the Southern Alps. The clock tower in the centre is a Boer War memorial. These people are shown during the annual Wild Foods Festival when there are large numbers of visitors to the town.